With KISSAO, we import flavours from around the world all year long, but not just that. We are committed to providing product lines which are both exotic and ethical. We select the best products in line with the highest standards, before ripening them, packing them and preparing them for distribution under the best possible conditions. 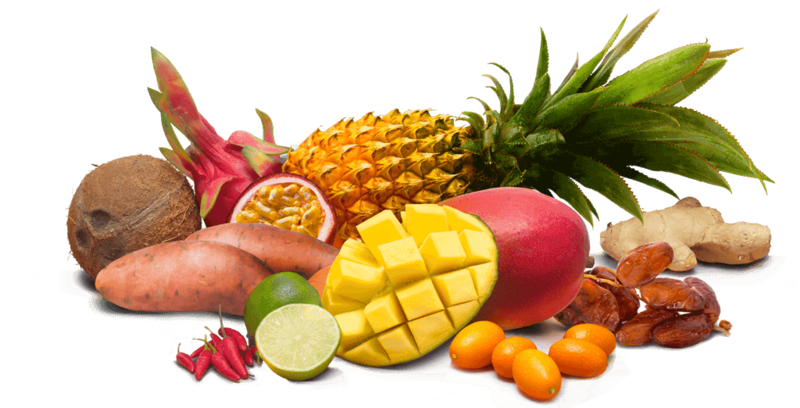 The tropical fruit par excellence, mangos are grown in many tropical and subtropical countries. Mangos ripened or transported by air are all fleshy, tender and very juicy, offering inimitable sweet flavours. These aromatic citrus fruits are very trendy and have forged a key place for themselves in our daily lives, with their consumption on the rise from year to year. Lime juice, with its characteristic flavour, can enhance and refresh your fruit salads, cocktails and pastries. Lime zest is also used to flavour savoury dishes. •	These tubers, with their white or orange flesh, are not actually in the same biological family as the potato. They come in nearly 400 varieties and are now considered a mass market consumer good, available in any array of produce. They are slightly sweet and are easy to prepare for any course, from starters to desserts. 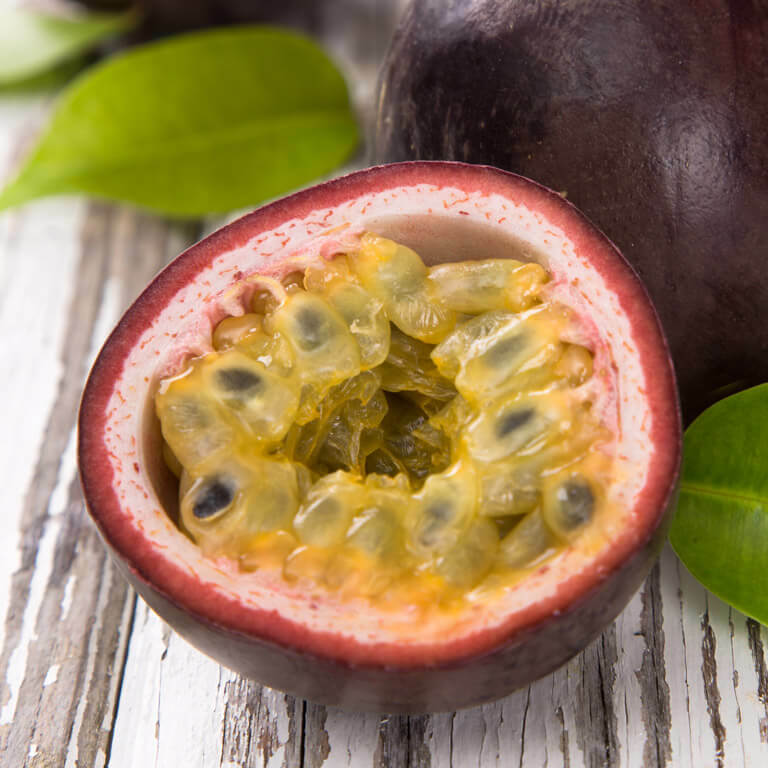 Known for its extraordinary flavour, this fruit belongs to the family of passion flowers, along with the maracuja and the granadilla. Long used for medicinal purposes, passion fruit is endowed with real nutritional qualities. 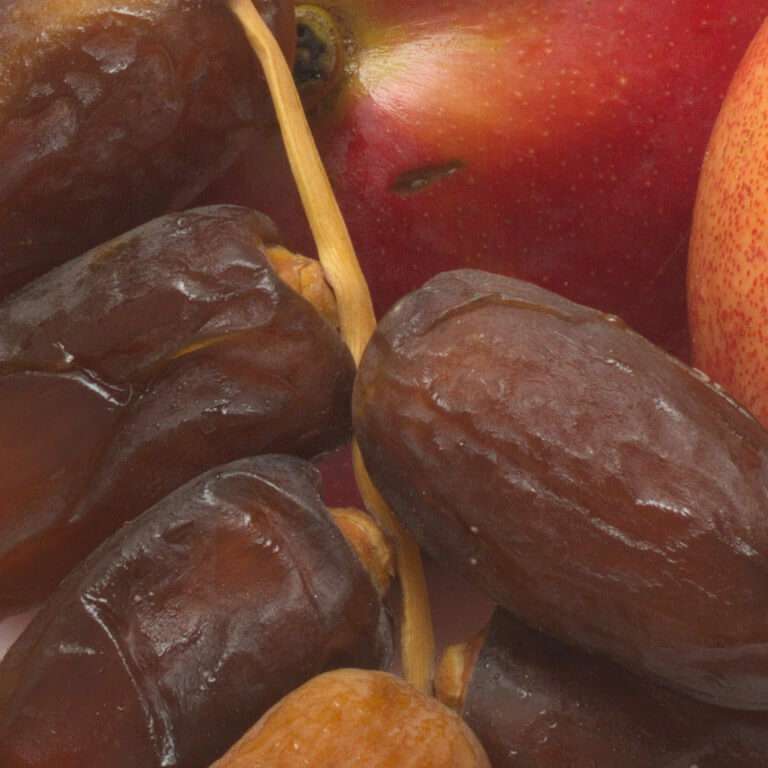 Evocative of the refinement of Middle Eastern culinary traditions, dates are small, easy to eat fruits. Known for their energy boosting qualities, they are an ideal snack for athletes. Depending on the variety, they can be more or less fleshy and sweet. Originally from Asia, where it was consumed for thousands of years before being introduced to the West, this thin-skinned root is known for its peppery, lemony taste. 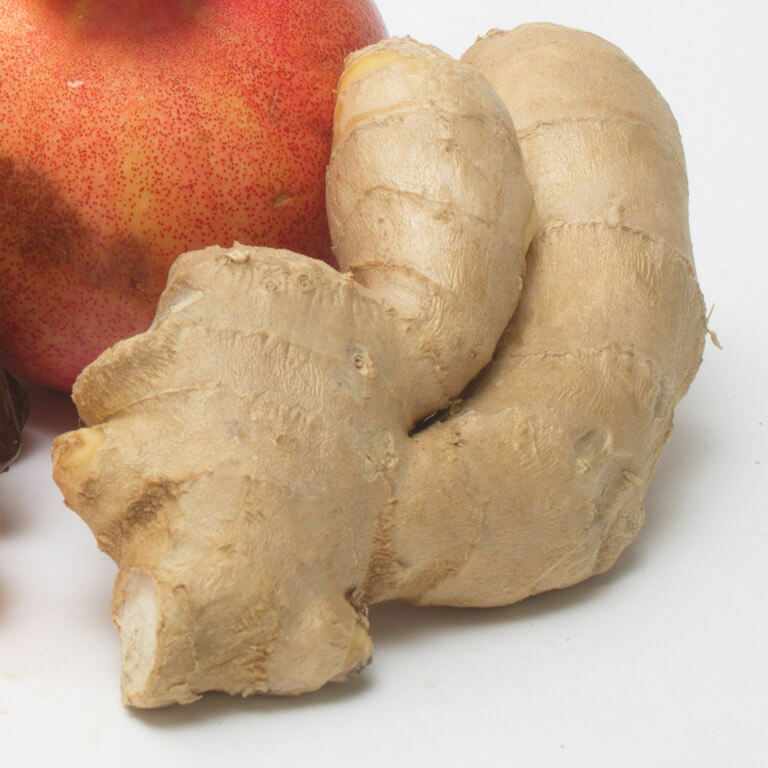 Whether dried, ground or sliced, ginger is always intensely aromatic and a perfect fit for savoury dishes. Its antioxidant properties also make it a key component of traditional Eastern medicine. Often associated with sunshine and holidays, the hard shells of coconuts conceal mild, crunchy white flesh and a clear, sweet and refreshing juice. 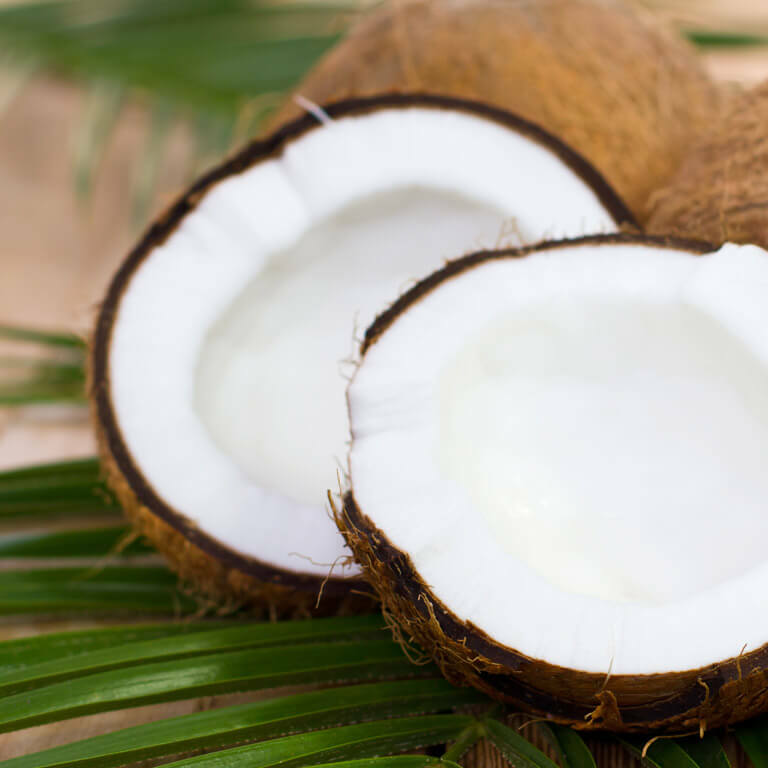 Coconuts can be enjoyed on their own, or grated, ground or powdered in certain pastries. 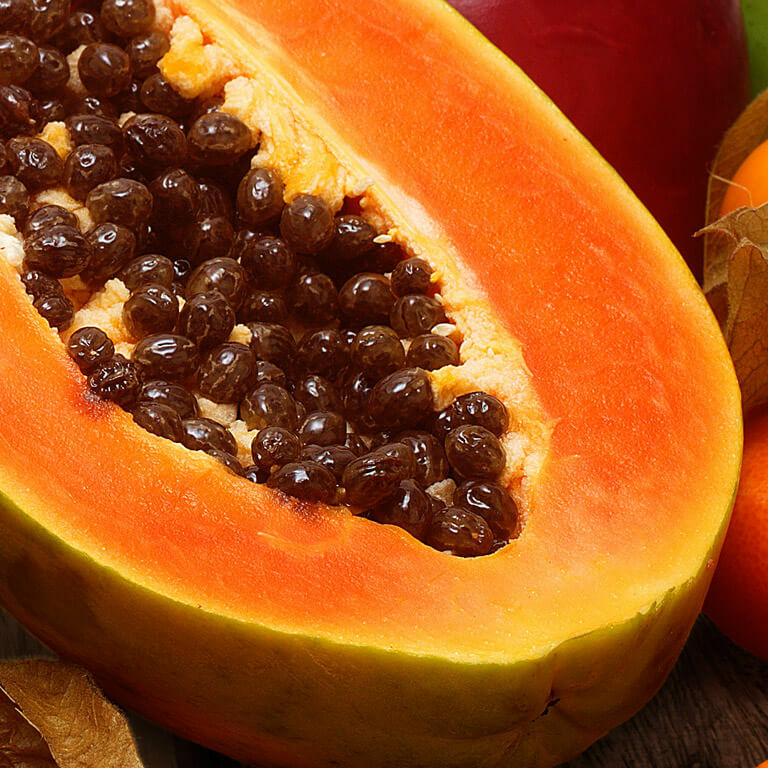 Grown in Brazil, Central America and tropical Asia, papayas possess sweet, fragrant orange flesh containing inedible black seeds at the centre. Low in calories and rich in vitamins, these exotic wellness fruits reveal their full aroma particularly with a drizzle of lime juice. 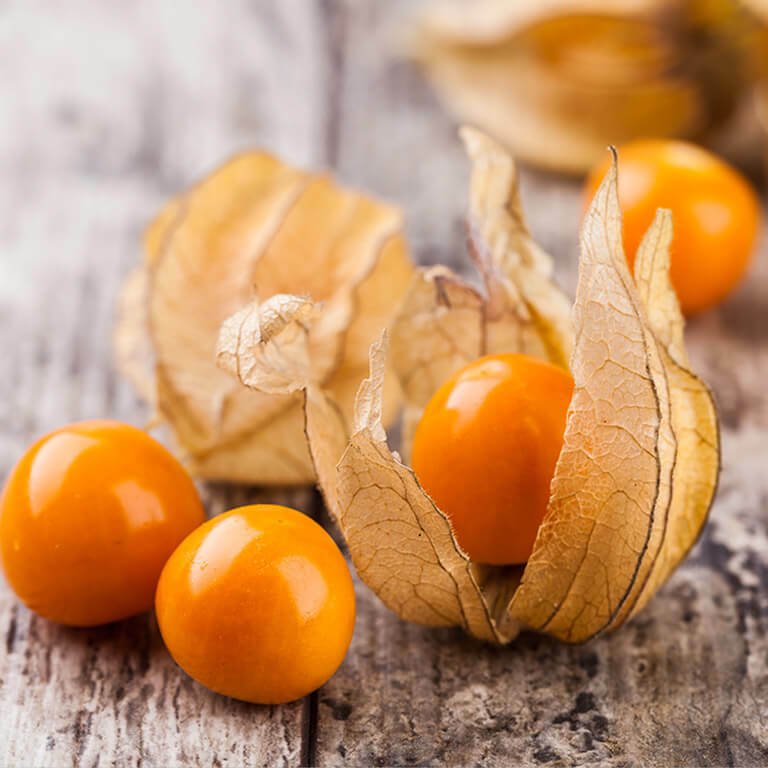 Physalis is a small, sweet/tart orange berry belonging to the same family as the tomato. The fruit is protected by a golden calyx endowing it with the lovely shape of a Chinese lantern. Although often used for decorative purposes, the physalis also makes for a perfect addition to a fruit salad or can be enjoyed as a vitamin-rich snack. 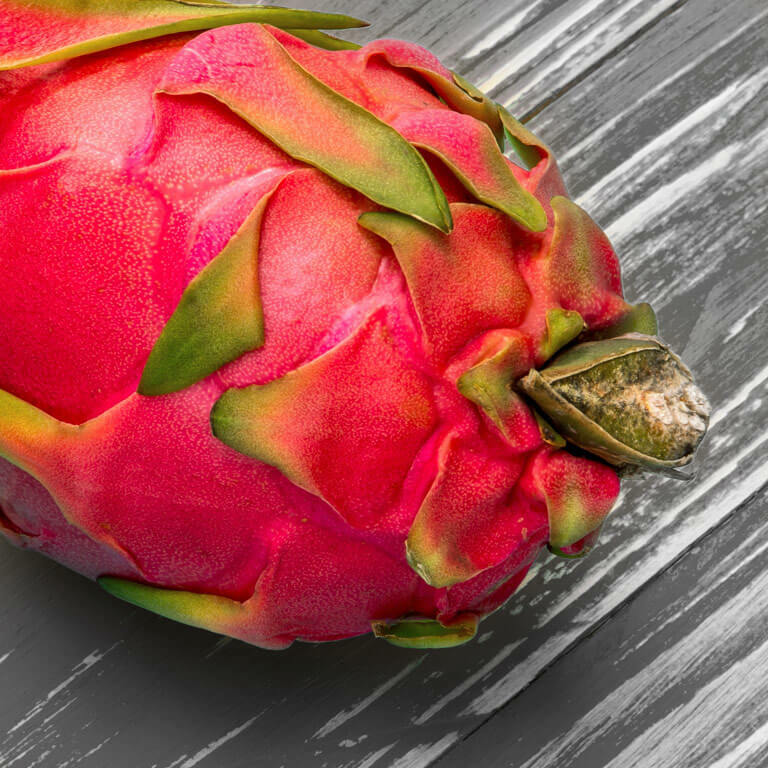 Dragon fruit, or pitaya, comes from a cactus. Its sweet, thirst-quenching flesh is dotted with small black seeds. This fruit is rich in vitamins and particularly refreshing, offering a boost in energy and vitality with each bite. 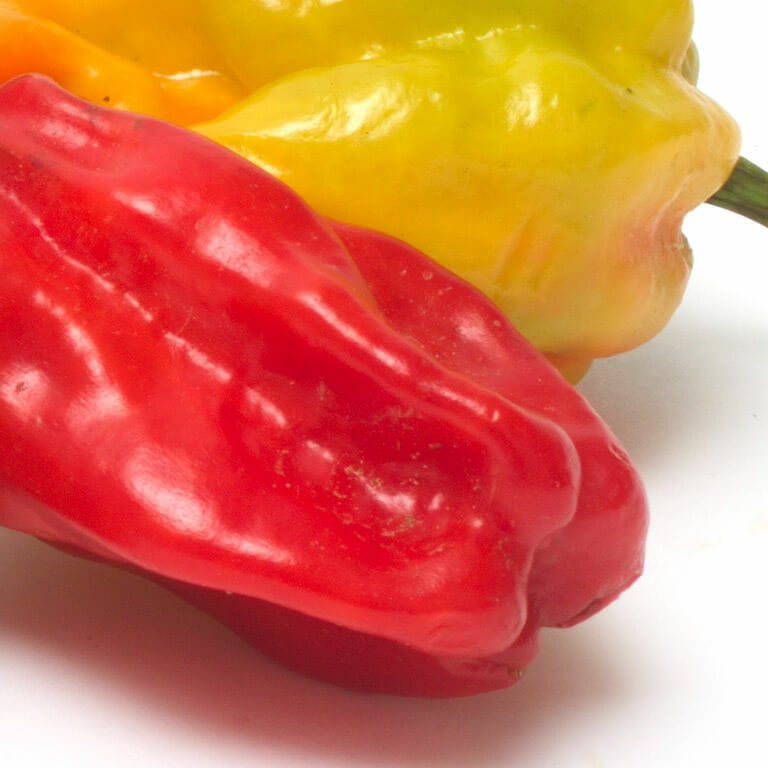 Hot peppers come in a multitude of varieties and colours like yellow, orange, red and green. They are very popular and are commonly found in Middle Eastern, Asian, African, Latin American and Mediterranean cuisines. Remember, the spiciness of a pepper comes mostly from its seeds!